I'm a part time videographer and I been dreaming of building a pc by myself. So, this is the very first PC I build after watching many tutorials on YouTube. The prices of these parts are not the same at the current market since I bought them during Black Friday and I also got some parts from my friend because he can get them cheaper. 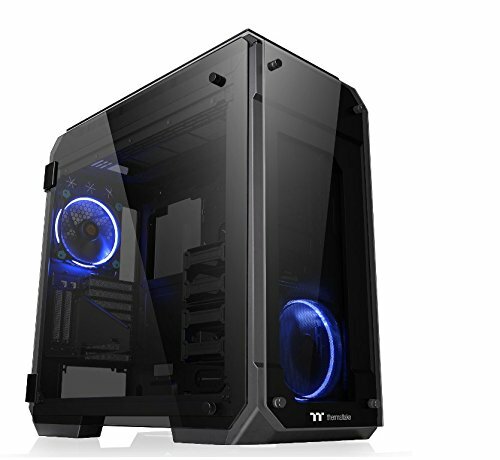 I chose Thermaltake case because of its look, and I feel like it would give me enough space to work with since I'm a noob. 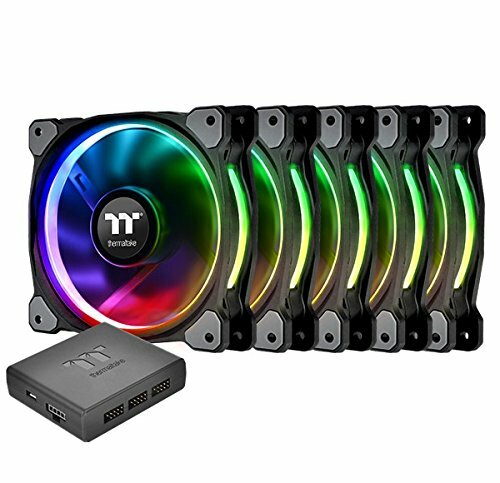 Besides these part, I also purchase a pack of rainbow cable from Thermaltake to add to the theme. When I installed the GPU, I found an issue that it hits the CPU cooler, so I have to reinstall the CPU cooler to the top of the case. Since I have 7 fans and 3 fans from the CPU coolers, I have to use the fan controllers come with these fan packages so I use their software to control these fan. Here is another issue that I have, the Windows can't recognize two controllers come along with the fan packages but it can recognize the CPU cooler's controller. Kinda bland, needs more color. This...this is beautiful. I'm not crying. You're crying. This build is definitely "LIT". You better have one of those RGB chairs, that would totally complete the build. Just hope someone with epilepsy comes into your room, really nice job anyway! Not sure what to say about this, SOOOO MANY LEDS, but your missing something very important, an rgb strip (Would be wayyyyy to overkill) but still. It would look tacky with RGB strips. Man this is really nice, I got the same motherboard too but for my 8600k. Yeah it's a hella good looking motherboard. Where are the rest of the fans that you bought though? Are they like hidden in a secret compartment?? These cables already come like that Chubbby. I would change 1 of them if they have different color tho. Those cables are crazy. Sweet build. Are you secretly a unicorn? Nice color. Serious question here, I've read reviews where some are having trouble seating their 1080ti cards in the top PCI slot. They were zotac cards and I'm an EVGA fan but checking all the same. Thanks in advance for your help! where did you get the rainbow cables? 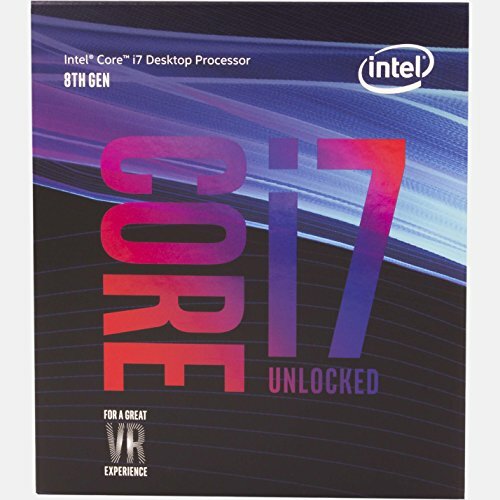 https://www.newegg.com/Product/Product.aspx?Item=9SIA2F860Z2769 It's currently out of order. 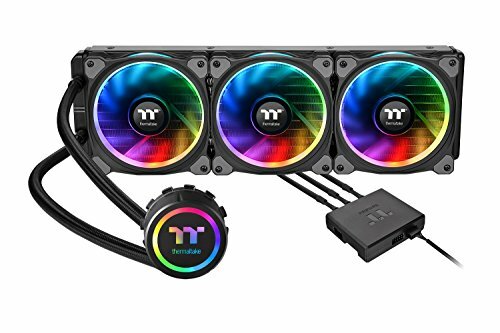 Hi there, looking at the 8700k and the Floe Riing RGB 360, what temperature does the cooler keep your CPU at when at high load? It's falling between 60 - 70 Celsius degree. You mean tutorial and progress video or final product video? I bought these cables seperately, I suggest you check out cable mod or cable extended set on newegg to match with the color theme you want :). And this is my first time I didn't record the video during building it. There are plenty tutorial videos on Youtube about how to build a PC. Good luck with your build and post me an update when you finish buddy. Which M.2 slot do you have the Samsung - 960 EVO 1TB M.2-2280 Solid State Drive in on the MOBO? hey, I first installed it under the GPU, then move it back into the slot where it has the cover. I have a question I see that you have about 10 case fans in the build description however I only see about 4 of them. Just wondering where you hid the other 6... I have the same case and was about to do a similar type build but was thinking of doing case fans across the top and then the liquid cooler right beneth it but now I'm worried it might be to packed. awesome build, i plan on building an RGB version as well. I love how you have a ridiculous power supply. Where are the other fans? Did you have to remove some because you moved the cooler, or is there more above the cooler? I dont want to be mean but this is hurting my eyes. It is a great build but I am not a fan of a rainbow color scheme. The specs are good though. I actually showed up there for a troll cuz I switched to black and red after that xD. Sooooo muuch RGB !! Wow. It looks incredible. Good job on an amazing build. I think it could have done with a custom water cooling loop. Look into the NZXT Hue+ to spice up your PC with a little more RGB. Sick build though! Hey, I am thinking of getting this same Case and SSD. Where did you put your SSD? By looking at the specs of this Thermal case I do not see a slot to put M.2 SSDs on the back, just 2.5 and 3.5 (or am I wrong?). Nice build man, very colorful. 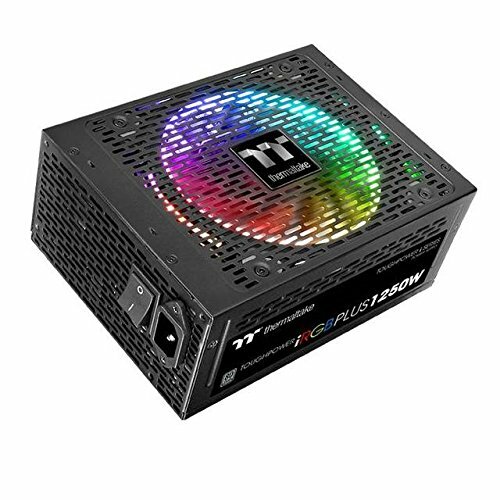 Yeah, I believe the case came with 3 RGB fans.